How to immigrate from Mexico to Canada. Our complete guide will tell you everything from visa programs to medical check ups, IELTS exams and more. There are many reasons to consider moving to Canada, because of better work opportunities, free healthcare for you and your family to living in safe and happy neighbourhoods. Because we know that the immigration process can be really confusing and complex, we have created a simple guide to help you on your way to make your immigration easier. Whatever your reasons for wanting to move to a new country, here is how to immigrate from Mexico to Canada using these simple steps. 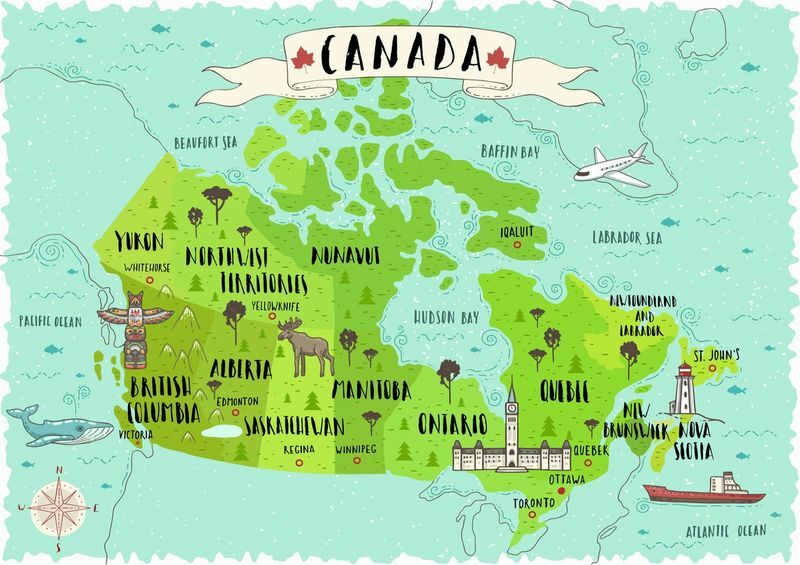 This may seem like a really obvious thing, but it is important because each of the 13 provinces and territories in Canada have different visa programs, job markets and natural resources that could have an impact on your choice. If you have a family, then maybe you should consider the French speaking province of Quebec that has some of the best family support programs. Quebec puts a lot of emphasis on cheaper daycare and additional schooling programs to help children with learning difficulties. Just make sure that your language skills in French are up to standard as the province puts great importance on this as a qualifying factor. Other provinces have more job opportunities in certain fields, like New Brunswick, which has one of the largest seafood industries in Canada making up 11.4% of all fisheries and seafood production in the country, or British Columbia which has one of the largest forest and milling industries and accounts for 24% of all merchantable wood. Research which immigration programs are the easiest way for you to move to Canada. There may be a visa option that is designed for your set of skills, experience and education. Remember that Canada invites applicants based on the countries’ needs and not a first come first served basis. For example, Gloria is a talented computer programmer who recently graduated from university and has three years of work experience that she got while studying. Gloria found out she could apply for a program called the Global Talent stream who hires skilled workers for Canadian companies with a processing time of two weeks or less. If Gloria found her niche, why can’t you? Canada may need your skill set. There are over 70 immigration programs in Canada at the moment and each of them have their own unique requirements and processing times. If you want to know more about any of the visas mentioned above, just sign up here and we will call you about how the application process works. We have mentioned that each program has their own set of requirements you need to meet before you can apply but most of these programs have some similarities. Know your NOC (National Occupational Classification) job code and level. Canada has five main job levels 0, A, B, C, D and E that categorize each job type from managerial to labourers. There is also a four digit code that goes with each specific job. Have relevant work experience in the job (this does not apply to students or dependants) and sometimes you can score higher for immigration points if you have Canadian work experience rather than foreign work experience. 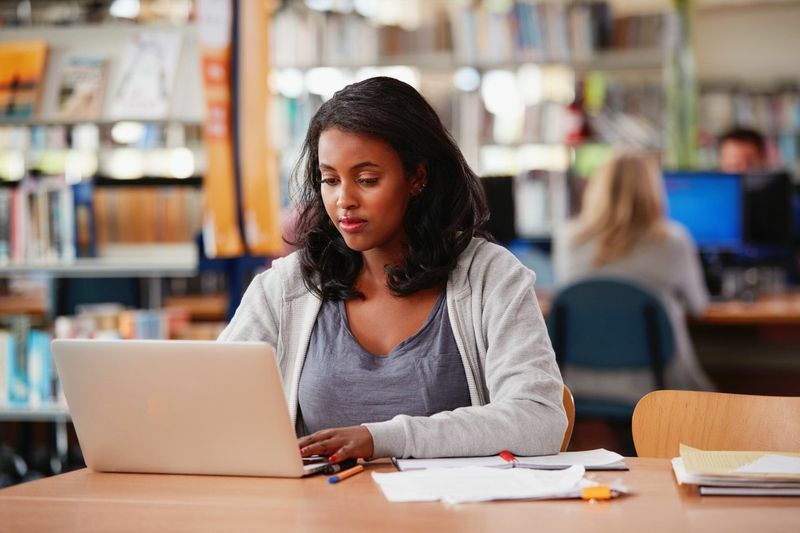 Have the right language skills in French and English that you can prove through exams like IELTS and TEF (Make sure that you take the General exams and not the Academic unless you wish to apply for Masters courses in Canada). Have an LMIA (Labour Market Impact Assessment) to prove that your job cannot be filled by a Canadian worker (This is normally handled by your employer who has offered you a valid job offer). A clean criminal background check with no pending cases against you, yes even a DUI can be a major issue when applying for a Canadian visa. You will be asked to have a Police Clearance document done when you apply for a visa. Of course, there are certain documents you will need in most visa applications. Here is a simple list of documents you should have on hand when you start the application process. Just remember to make sure that all your ID documents are up to date and will not need to be renewed during the application process. Sometimes your passport number or other information is linked to your application, so if your passport number changes, there may be issues with your application. Just double check all your identity documents and make sure that there will be enough time during your application process before any of the documents expire. There are two main exams you can take to prove that you can speak in both English and French. These are the IELTS and TEF exams that test your skills in reading, writing, listening and speaking. If you are immigrating to Canada, you should take the IELTS General test in most cases, as the Academic exam is generally not accepted for most visa programs in the country. The exam itself is 2 hours and 45 minutes long. Many companies in Mexico offer exam venues from Aguascalientes to Yucatan. You can expect to pay around 3,230 to 5000 pesos for an IELTS though this depends on which company you go through like IELTS Exam Net or the British Council. This also applies to the TEF, where you should avoid the Academic version, unless your specific visa program specifies it. The exam is 2 hours and 55 minutes long, with most of the time being allocated to the reading and writing sections of the exam. Cost for the TEF can range from 6132 to 8815 peso depending on which company you use. 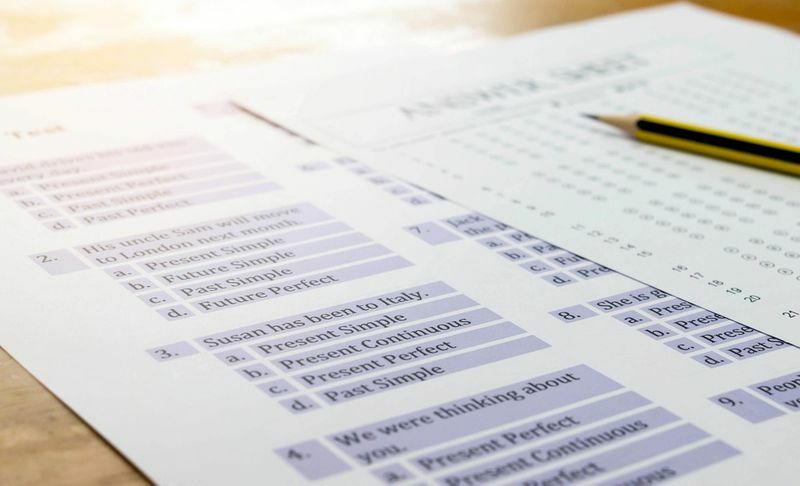 When you get your language results they will be translated into scores using the CLB (Canadian Language Benchmark) for IELTS which groups your scores into bands from 0 to 9 for your reading, listening, writing and speaking. Your scores from TEF will be translated using the NCLC or Niveaux de compétence linguistique canadien. If you plan to work in Canada, you need to know how to find your NOC code and level to see which visa programs you can apply for with your current job. The process is quite easy for this, all you need to do is go to the IRCC website and type in your job description, for example, as an Ironworker you belong to level B and its four-digit code is 7236. You will then see the NOC level and job code displayed on your screen and have to option to click on the link provided to see more information about the job description and other information. In most cases, you will not need to have a medical exam if you plan to visit and stay in Canada for less than six months. But if you plan to come to Canada for an extended stay, you will need to have a medical exam done by a doctor who is on the board of physicians in Canada. Here is a list of doctors you can use in Mexico who fit this description. Please note that your medical exams are valid for one year only and cannot be used for your application after this time. If you already have a valid Canadian visa or intend to visit Canada before the 31st of December 2018, you will not need to complete your Biometrics. You will only need to have an ETA or Electronic Travel Authorization for short stay periods. But first, let's explain what Biometrics are. Biometrics are a security system put in place by Canada to help monitor and identify the people who visit or stay in Canada. This is done through fingerprints identification and facial recognition. If you want to learn more about this system, here is a short video about how this system works. Electronic Travel Authorizations are a useful way to have a short term stay in Canada for work, study or vacation purposes. Please note that you only need this if you arrive in Canada by air, not when you travel overland or by sea. A good thing about the eTA is that it is valid for five years and lets you visit Canada for up to six months, if approved by the Canadian border services. You can apply for an eTA online which should cost you no more than 102.50 pesos. Just make sure that your passport does not expire soon, as your passport number is linked to your eTA, so if your passport expires in six months, your eTA will no longer be valid. If you are still feeling lost or feel you need some guidance about the best way you can learn how to immigrate from Mexico to Canada we are happy to assist you. Just sign up and get in touch with our professional account managers who will help guide you during your journey.